The natural beauty that surrounds Canberra just can’t be beaten anywhere else. The great news is, when you need to get away from the city and reconnect with nature, you don’t have to go far. 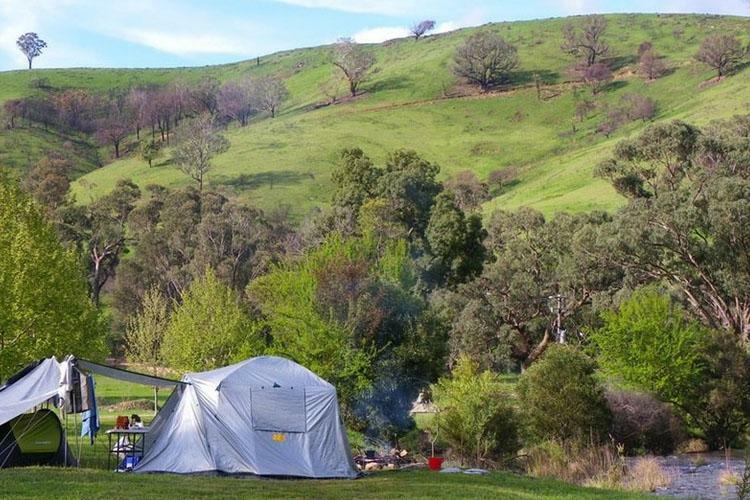 We’ve found just a few of the best camping spots near Canberra. With a variety of camping options available around the Wee Jasper Reserves, you can bring your tent, camper, caravan, or motorhome (and even your boat) to have a great time out in the great outdoors. 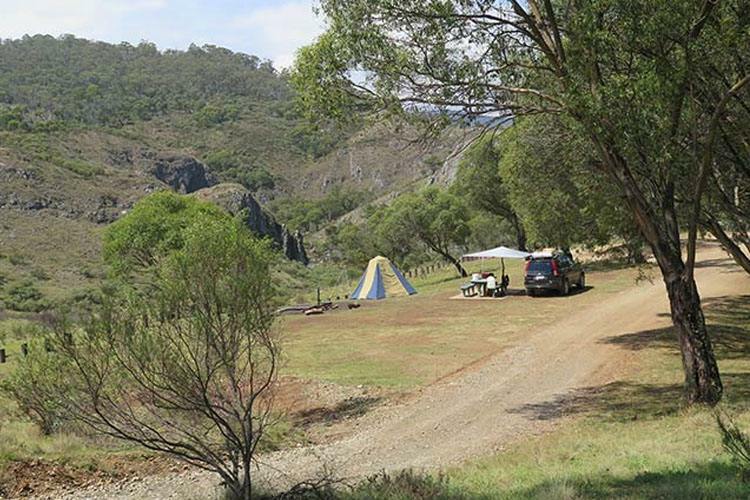 Billy Grace Reserve is the largest of the campsites and has shower and toilet facilities, barbecues, playgrounds, and picnic tables. If you enjoy a bit of fishing, hiking and swimming, you can’t go wrong with Micalong Creek Reserve. From here you can walk to the beautiful Micalong Falls or set off along several other bushwalking tracks nearby. 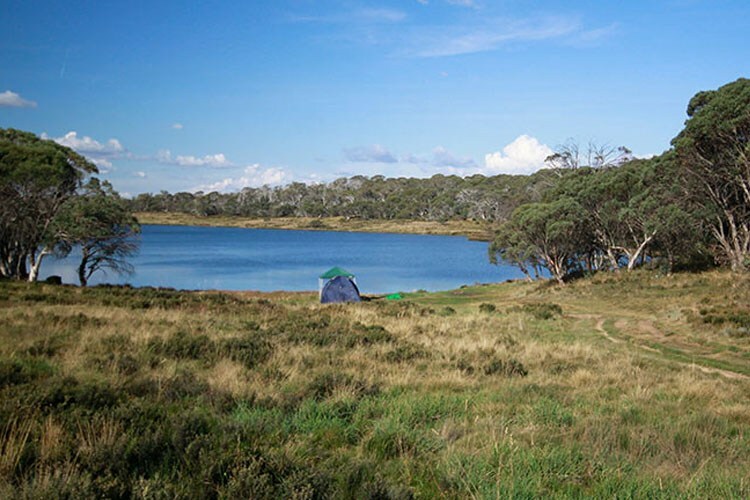 Within the Kosciuszko National Park, Three Mile Dam offers a great spot to set up camp all year round. 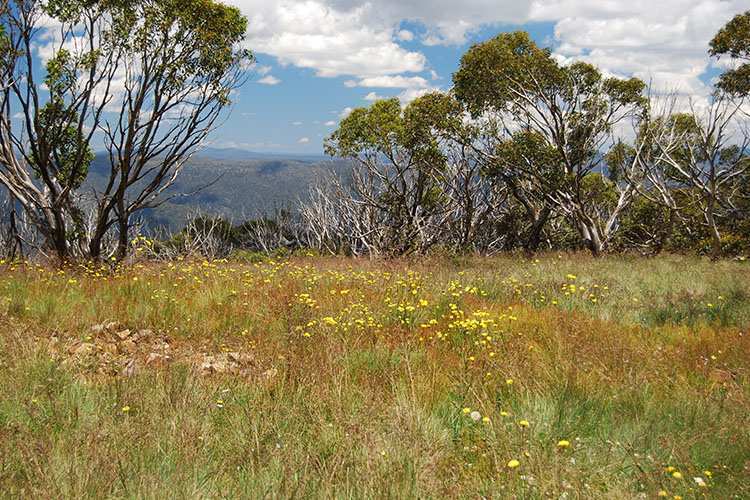 In the winter you have the stunning snowfields at your doorstep, during the warmer months, the landscape comes alive with lush greenery and native flora, and in spring you’ll find a burst of colour with the snow daisies and billy buttons out to bloom. There are some great walks to do nearby, as well as mountain biking and fishing, and about 40 minutes up the road, you can explore the stunning underground spectacle of the Yarrangobilly Caves or the relax in the natural spring waters of the Yarrangobilly thermal pools. In Namadgi National Park, Honeysuckle found its place in history as the tracking station that transmitted pictures and audio of the Apollo 11 moon landing to millions of TVs around the world. Remnants of the station are still around, and you can explore what’s left of it today. Camping at Honeysuckle also offers some great opportunities for venturing into the bush with some incredible short and long hikes that offer utterly breathtaking scenic views. Another worthwhile trip out to the Kosciuszko National Park, Blue Waterholes is the ideal spot to camp if you’re an avid hiker. A short walk takes you down to a stunning turquoise waterhole where you can go for a dip or have a picnic and keep an eye out for native wildlife. From Blue Waterholes campground, you also have great access to the 5km Clarke Gorge and 7km Nichols Gorge walking tracks. The campsite can get busy in peak season, but there are a few other grounds close by you can try, so you’re bound to get in somewhere. It might sound like a bit of a depressing name, but Nil Desperadum is anything but. 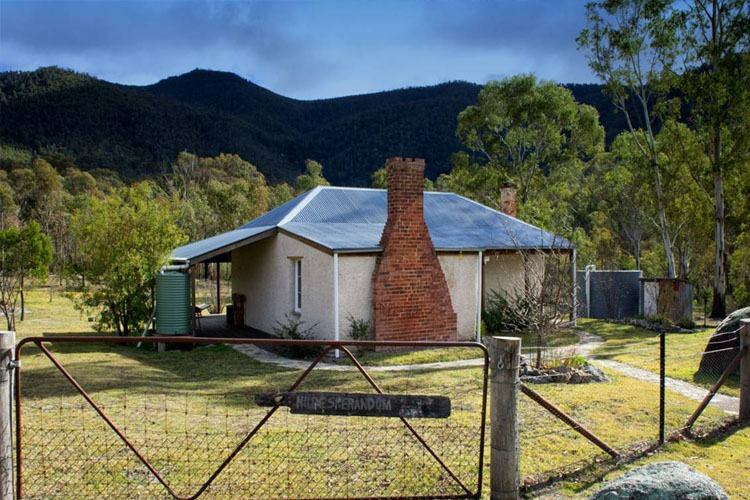 Nestled in the Tidbinbilla Nature Reserve, Nil Desperadum is a rural property accessible only by 4WD or AWD and lies somewhere between traditional camping and a bush homestead. The modest property is simple with some of the mod-cons we rely on, but its authentic rustic interiors, basic bedroom with camping cots, old-timey wood-fire stove, and an outdoor pit dunny make it feel like you’re roughing it just a little bit. Gather your mates, switch off your phones, and enjoy a relaxing weekend of stargazing, barbecuing, bird watching or getting out onto some of the great bushwalking trails. Are you an avid camper? Let us know about your favourite camping spots!